For those of you who follow me on Instagram, you may have noticed via my Stories that I've been on a bit of a foodie travel bender over the last month. I started by working my way through the cute towns in Hamilton County, IN (donuts! apples! pumpkins! all things fall!) and most recently made my way to the Southwest to explore the culinary scene in Arizona. I know some of you are scratching your head right about now... Arizona? For food? Really?! I know, I know. I have to admit that before my trip, I was one of those people who didn't think of Arizona as a foodie destination - along with blue skies and sunshine, it's the land of cacti, the Grand Canyon, miles of deserts, spring training, golfers, and In-N-Out Burger. While all of the above is true, I discovered that there's also a vibrant food scene that includes an extensively developed system of agritourism, year-round access to food trucks and events highlighting Southwestern and Navajo-inspired dishes, and a bevy of restaurants in which locally grown/sourced offerings are truly local in the sense that the grains, dairy, meat, and produce are all sourced within a 20-mile radius. Not only is it a perfect destination for sun seekers but also, as I learned during my five days of exploration, it's also a must-visit spot for foodies. While I spent plenty of time during my trip working my way through the restaurant scene, I also had the opportunity to spend a day partaking in the agritourism side of the state via the Fresh Foodie Trail. One of the most unique and interesting culinary experiences in AZ, the FFT consists of a guided tour through Mesa, Queen Creek, and Gilbert. Launched in 2016, the tour gives visitors and locals alike a chance to not only explore the fertile countryside but also a way to learn more about where food comes from and why the food choices we make matter. The tour is built on a linked network of various attractions that includes stops such as a peach orchard, an olive mill, a citrus grove, and a flour mill. Through demonstrations and tastings, you get a behind the scenes look at food production from the perspective of the growers/producers and a chance to meet some chefs who are working hand in hand with the farmers to keep it local. Fresh Foodie Trail stop 1: True Garden Urban Farm, a 5,000-square-foot vertical urban garden that offers a weekly farmers market, courses about the production of healthy and nutritious produce, and tours of their state of the art greenhouse. Their greenhouse holds 320 towers, each of which houses 52 plants. Their method of growing without soil allows for year-round cultivation in any climate (you can even find one of their aeroponic gardens at O'Hare!). This lettuce was some of the best I've ever tasted! Everything was so vibrant and lush. Fresh Foodie Trail stop 2: Jalapeño Bucks for Arizona-style BBQ. Not only was this one of my favorite stops on the FFT, but it was also one of my favorite parts of the entire trip! 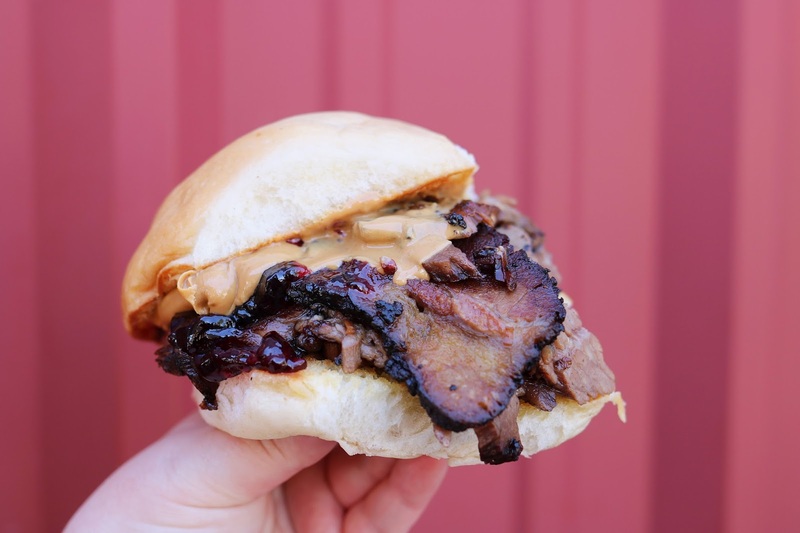 I fell hard for their Peanut Butter and Jelly Brisket Sandwich - the creamy, warm peanut butter and sweet jelly combined with tender, moist brisket made it one of the best sandwiches I've ever tasted! I am seriously drooling just looking at these brisket photos again! Located in a citrus grove, not only is the restaurant serving up some incredible BBQ (the brisket is an absolute must!) but also it's a super cute rustic outdoor spot that makes you feel like you're hanging out a family gathering. I've already recommended it to two of my AZ-based friends who hadn't heard of this hidden gem and both have proclaimed it to be their new favorite spot for BBQ! Fresh Foodie Trail stop 3: Schnepf Farms, a fourth-generation family farm that is the largest organic peach grower in the Southwest. This charming spot offers u-pick peach orchards and gardens, along with farm festivals and dinners, a bakery, farm tours, and a gorgeous wedding venue. The farm doesn't sell their produce through outside farmers markets or stores, as they want customers to have the experience of picking it themselves in order to be part of the food production process. The train runs through orchards and farmland, giving you a great tour of the vast space (and it's just plain fun to ride a mini train!). The family history runs deep throughout the farm; you can even visit a section that pays homage to the early years (complete with the brick wall preserved from a fire that destroyed the original family home). Cinnamon Rolls made from owner Carrie Schnepf's grandmother's recipe. Fresh Foodie Trail stop 4: Queen Creek Olive Mill, a full sensory experience that includes olive oil tastings (the garlic and basil olive oils are definite musts! ), a tour of the olive groves and stone mill, and an inside look at what goes into producing 16 varietals of olives (Italian, Greek, and Spanish). Each of the trees can produce anywhere from 50 to 300 pounds of fruit - it is all grown, harvested, and pressed onsite. It's quite a fascinating process! Along with a variety of awesome foodstuff (tapenades, chocolates, vinegars, and, of course, olive oils), the shop also carries a line of handcrafted olive oil-based beauty products. Although I'm typically not a big fan of bar soap, I just couldn't resist bringing home some of these super moisturizing and fragrant olive oil soaps! Fresh Foodie Trail stop 5: Hayden Flour Mills/Sossaman Farm, where the focus is on preserving grain history through the growing and milling of heirloom grains. The farm uses old-world techniques (such as crop rotation) to keep the ground fertile, along with am old-school stone mill; the result is a minimally processed finely milled flour with no bleach and no additives. Their products are highly favored by local chefs (including pizza god/Arizona favorite, Chris Bianco) and even earned the American Made Award by Martha Stewart. Fresh Foodie Trail stop 6: Agritopia, a mixed-use planned community that includes a 160-acre urban farm, several dozen homes, four restaurants, a gorgeous indoor market with space for artisanal craftsmen making their goods onsite, and a small batch winery that utilizes traditional wine-making techniques. After touring the massive space, we ended the night at Garage-East (part of Barnone, the dedicated space for artisans) for some bites and a wine tasting. I think we tasted six of their wines (yes, I'm a lightweight and yes, I lost track after about the third glass). My favorite of the night was their Rose (pronounced "rose" like the flower), a lovely blush made with 100% Grenache grapes and a super clean/crisp finish. The Fresh Foodie Trail is truly an awesome experience. At every stop, you'll learn something new, engage in some fascinating conversations, and sample some great food. It's also really cool to hear all about the connections the farmers, restaurateurs, and chefs have with one another - they're all working together to ensure as much as possible stays local in order to ensure sustainability. As I mentioned before, I had never thought of Arizona as being an agricultural area or a foodie destination; the FFT showed me that there's so much more to the state! Disclosure: I received a complimentary trip and services to facilitate this post. Review and all opinions are my own. LOVED following and reading about your AZ travel adventures! My brother and sister-in-law (who is originally form Tucson) used to live in Phoenix, so I've had the pleasure of enjoying some of Arizona's deliciousness in the past. I'd go back in a heartbeat! The farms and greenhouses are icing on the cake... So beautiful! Yay! I'm so glad you enjoyed it! I'm working on a post about my day in Tucson -- I totally fell in love with that city (and can't wait to go back!). If you ever head back to the Phoenix-area, you should definitely look into the Fresh Foodie Trail; you would definitely enjoy it! Those look like some awesome Burnt Ends, I have never been to AZ, but I hope to go one day, and I will be exploring the food scene there as well. This looked and sounded like a delicious trip!! Loved following you while you were there! 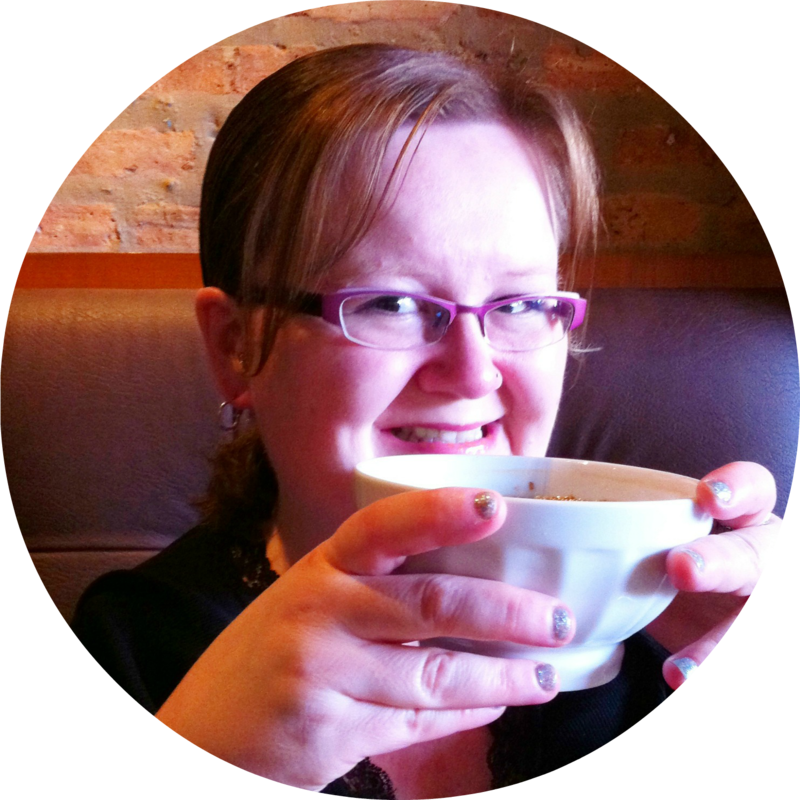 Loved reading your recap - it was great to spend the day with you! It was so much fun... despite the toxic sun that was trying to kill me. ;-) Hopefully, I'll get back down there soon!